Bikes, etc: The new steed is a "Falcon"
"randomly" bad, home paint job. but that was all long enough ago now that even the home paint job is "vintage"
what makes people put "random" decals on a bike? had a "Reynolds" decal on it. Well buddy, my brother just put that sticker on from a different bike just to make it look cool. 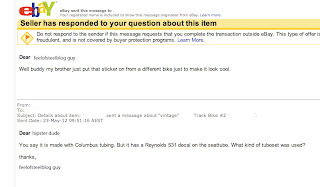 in light of that statement, am I the only one to be un-reassured about that bike's provenance? 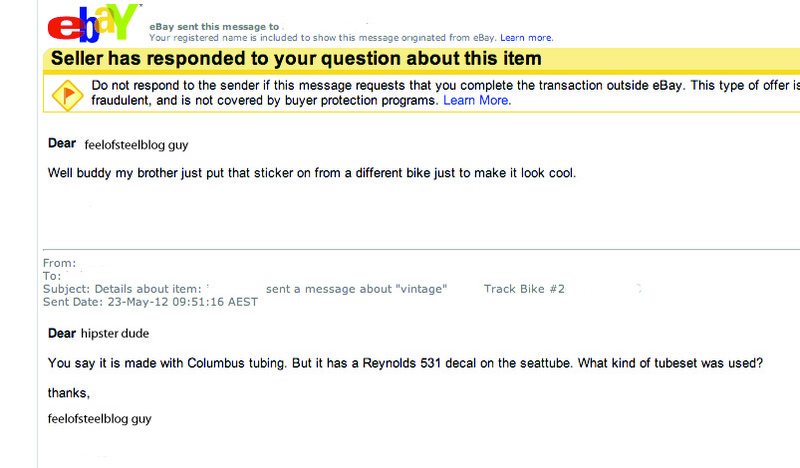 obviously said dude's brother thinks Columbus tubing is some kind of gas pipe. it sounds like you're about to engage in fisticuffs. it used to have a Sturmey-Archer 3 speed hub. now has a cheap alloy rim and coaster brake hub. otherwise going for the all-steel look. but I'd love to put a set of these on it.